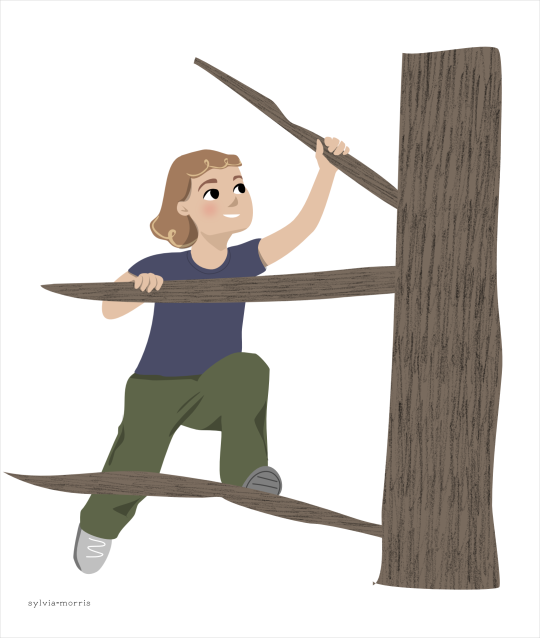 Can (or, rather, WILL you) draw a little girl climbing a tree (preferably pine)? With short curly hair, light brown skin, blue eyes… Thanks! Or not! hey nonny, thanks for the request! I had to make up a lot of the details, so I hope this matches up fairly nicely with what you wanted… and if you want me to change her hair colour to make it darker or red or something then I can do that in just a few seconds so go ahead and ask.